That’s quite the accomplishment for “The System”, especially when you consider that he only had four such games for his entire career heading into this season. The Spurs are 12-4 in those games, which is a good testament of what he brings with such performances, but as SAEN’s Jeff McDonald points out, his teammates would like to make those performances more of a luxury than a necessity, as it was against the 76ers. Speaking of the “player who couldn’t shoot” but the Spurs traded for anyway, they got another asset in that same 2011 draft-night trade whom they knew could shoot, and he’s here now, contributing right away on a championship-contending team. If you haven’t figured it out yet, that would be Davis Bertans. Mike Monroe wrote an article over at Bleacher Report about the uniquely-skilled Latvian big man’s journey to get here and how confidence not only has him getting minutes as a rookie, but could also make him a big part of the Spurs future. Dejounte Murray has had quite a roller-coaster ride over the last few weeks: from the D-League, to starting in front of a national audience against the defending champs, and back to the end of the bench, the Spurs’ latest draft-night steal is more than willing to be coached, yanked for a talking-to, and soak up the knowledge wherever he is. Not to put the cart too far ahead of the horse, but it’s quite possible the Spurs have found their Big 3 of the future. 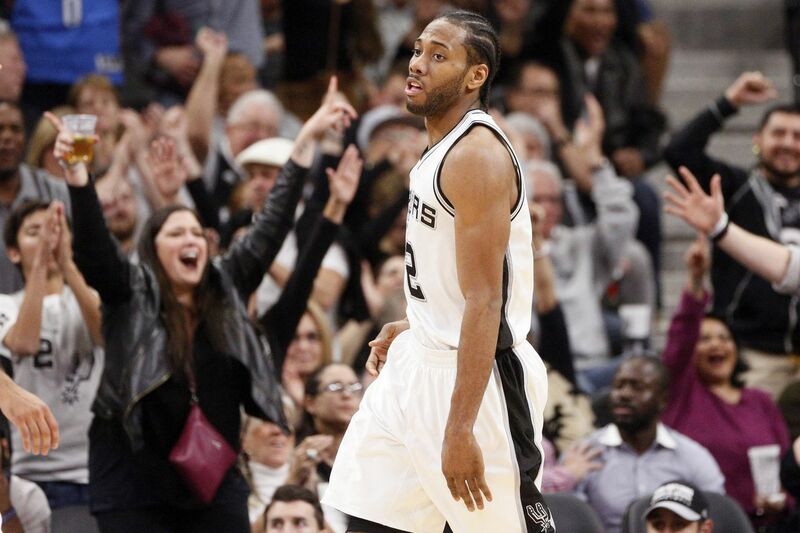 The RRT is often described as the time of the season when the Spurs come together and start gearing up for the final stretch of the regular season and playoffs. However, one common misconception is that how they do on the RRT sets the stage for the rest of the season, but that’s not entirely true. As Dimitrije Curcic of Fanside’s AirAlamo points out, the Spurs final record on the RRT has rarely been indicative of how they finish the season, but rather it’s what they do afterwards that truly sets the stage. It’s a common knowledge that the Spurs are often ignored and under-covered, especially during the regular season. I know at times I’ve mentioned how hard it can be find links to provide y’all with some entertaining reading (not that you don’t have enough here or anything), but recent events have given me a new outlook on how a lack of coverage can be a good thing, and it goes beyond the typical “keeping the Spurs under the radar until the playoffs” shtick. There have been three teams dominating the headlines over the last few weeks, and none of them for positive reasons. First, there was LeBron James with his annual rants and “passive-aggressive” tweets about his front office not providing enough depth for him. Never mind that they already have the highest payroll in the league by a large margin. Then, there’s the Chicago Bulls drama that everyone could see coming before the season even started when they signed two alpha-personality guards in Dwayne Wade and Rajon Rondo to join Jimmy Butler in an odd lineup that seemed destined to fail from outset. Not only has it failed on the court, but it has resulted in a divided locker room with Wade and Butler joining forces to call out their teammates to the media, and Rondo’s semi-accurate but ironic and hypocritical response on Instagram. Last, but not least, there’s the Knicks. Oh, where to begin with the Knicks. First there’s Phil Jackson doing everything in his power to force Carmelo Anthony to waive his no-trade clause, including indirectly insulting him on Twitter, which is only hardening Melo’s resolve to stay in spite of him. Oh wait, that was all a misunderstanding! Then, there was Wednesday’s game against the Clippers when former Knicks star Charles Oakley was removed for allegedly harassing James Dolan and was subsequently arrested for assaulting three security guards. Knicks gonna Knick. Phew. Aren’t you happy we don’t have those problems, fellow Spurs fans? Aren’t you relieved that we have a disciplined group of players and staff who respect each other, and even if they have any grievances they resolve it in-house and keep away from the media? While the Spurs may rarely make the national headlines before the playoffs, when they do it is almost always positive, and I’d rather it be like this than the other away around. For that much I am grateful, and you should be too.